A new report from the National Renewable Energy Laboratory (NREL) said that innovation is enabling more corporate solar procurement, with new purchasing models, declining costs, and increased interest by corporate purchasers driving this segment. NREL said that as of July, corporate customers have contracted for more than 2,300 MW of utility-scale solar PV. In addition, corporate procurement of utility-scale solar PV grew from about 1 percent of annual installed utility scale capacity in 2014 to 9 percent in 2016, and it accounted for 17 percent so far this year. Click here to learn more. U.S. regulators should help drive more distributed resources into the grid, ICF’s Philip Mihlmester writes, recommending how they can do so to the benefit of energy consumers and utilities. This entry was posted in NewsBlog and tagged climate change, energy storage, Nebraskans for Solar, renewable energy on September 29, 2017 by Helen Deffenbacher. 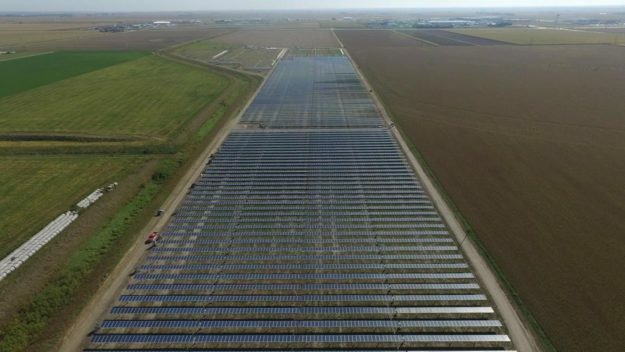 Kearney’s community solar project: 22,000 panels on 53 acres. The Kearney solar array is the latest addition to the city’s Tech oNE Crossing, and the city manager is hoping the array will attract even more businesses to the area. The solar array is set to be complete by February. To buy a share in the array, you must be a Nebraska Public Power District customer. Click here to request a solar share. This entry was posted in Community-Scale Solar, Nebraska / Midwest News and tagged City of Kearney, City of Scottsbluff, community solar programs in Nebraska, Kearney community solar project, Nebraska TV, NPPD's SunWise Community Solar Program, Village of Venango on September 28, 2017 by Helen Deffenbacher. 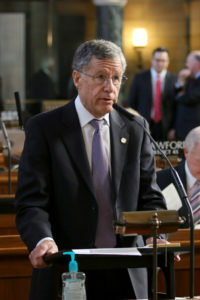 The writer, of Omaha, represents Legislative District 20 in the Nebraska Legislature. Along with our abundant groundwater resources, Nebraska has a very special above-ground resource — wind. As a member of the Natural Resources Committee, I am proud to have worked closely with my colleagues in the Legislature to pass Legislative Bill 824 in 2016. This bill, which I introduced and designated as my personal priority, allows wind energy companies to thrive in Nebraska by removing 1930s regulatory barriers. Continue reading. Opinion: Nebraska must invest in wind energy to combat climate change, by Madison Morrissette, The Daily Nebraskan. Morrissette is a junior political science and communication studies double major at the University of Nebraska Lincoln. 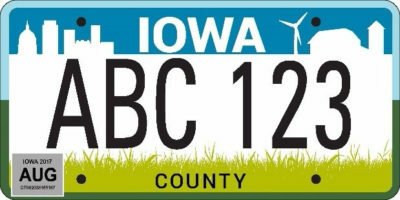 This entry was posted in Nebraska / Midwest News, NewsBlog and tagged cimate change, climate change action, economic benefits of climate change mitigation, John S. McCollister, wind energy development in Nebraska on September 28, 2017 by Helen Deffenbacher. In this interview from the Solar Power International trade show, Sonnen CEO Christoph Ostermann and Senior VP Blake Richetta talk about the market for backup power, and how this has been influenced by recent disasters. Read the interview here. An event in November will be the beginning of the sonnen community in the US. Read more about Sonnen Communities in this Reuters article. FAQ: Does a storage battery qualify for the 30% Federal Investment Tax Credit? On their own, batteries don’t qualify for federal tax credits. But if a storage unit is charged at least 75 percent by solar, it can qualify for at least part of a U.S. subsidy enjoyed by those projects — the investment tax credit, according to David Burton, a New York-based partner at Mayer Brown LLP. This Bipartisan Senate Bill Could Enable US Offshore Wind to Take Off, Greentech Media. Recently introduced legislation would create a 30% investment tax credit for the first 3 GW of offshore wind projects deployed in the US. The author, Mark Pischea, is the Managing Partner of Sterling Corporation, a Republican political consulting firm, and President of the Conservative Energy Network. 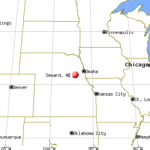 This entry was posted in NewsBlog and tagged Energy Storage News, Nebraskans for Solar, renewable energy news, Sonnen, Sonnen Communities on September 27, 2017 by Helen Deffenbacher. 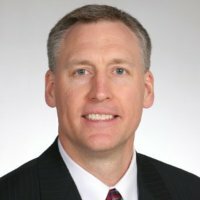 September 28, 2017 at 7 p.m.
Former Nebraska State Senator Ken Haar was a leader on issues related to protecting the environment during his eight years in the Legislature, from 2009 to 2017. He was the primary introducer of legislation dealing with climate change. Currently, he is making presentations all across the state about the impacts of climate change and opportunities and strategies that help communities mitigate or adapt to climate change. Join Ken Haar and Nebraska Interfaith Power & Light for this discussion about messages of hope in response to climate change. This entry was posted in Nebraska / Midwest News, NewsBlog and tagged Nebraska Interfaith Power and Light, Nebraska Sierra Club on September 26, 2017 by Helen Deffenbacher. The Tenaska wind farm will boost the local economy, according to Ten Kley. The total estimated construction will cost between $200 million to $300 million but will also increase tax revenue to the local government. Continue reading. 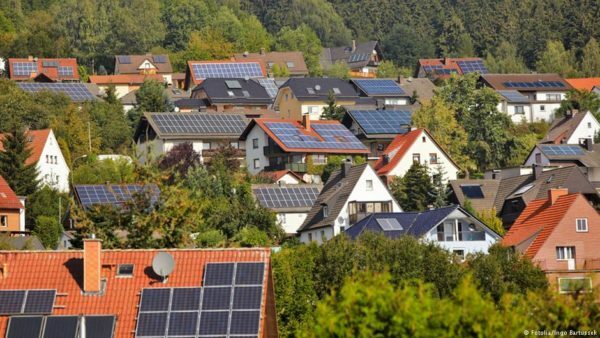 A 15 percent jump in residential solar system prices would be more likely, based on the latest average price figures from the U.S. Department of Energy’s National Renewable Energy Laboratory. 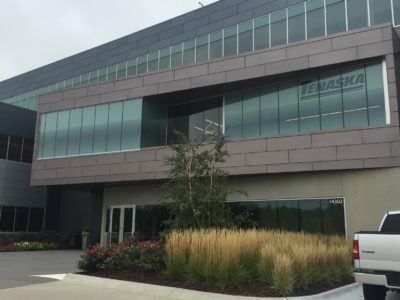 This entry was posted in Nebraska / Midwest News, NewsBlog and tagged community solar, energy storage, first fully geothermal community in U.S., Omaha-based Tenaska, renewable energy development in the U.S. on September 25, 2017 by Helen Deffenbacher. HURON, S.D. — In a move to further Farmers Union’s commitment to promoting American grown, renewable energy sources, National Farmers Union President Roger Johnson joined the advisory board of New Energy America, a new organization created to promote clean energy jobs in rural America. Johnson and National Farmers Union will support New Energy America’s engagement with communities and lawmakers in rural America to demonstrate how policies that support the deployment of clean energy create jobs in rural America. Continue reading. New Energy America was founded by a group of Americans who know firsthand the economic opportunities being created in rural America by clean energy. We believe that the future is bright in rural America, especially when we embrace growing industries that meet our energy needs, reduce pollution, save consumers money, and enhance our national security. 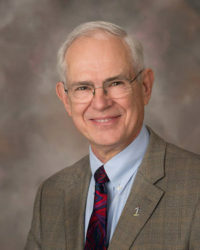 This entry was posted in Nebraska / Midwest News, NewsBlog and tagged Farm Forum, National Farmers Union, Nebraskans for Solar, New Energy America, renewable energy development in rural communities, Roger Johnson - National Farmers Union President, rural America on September 25, 2017 by Helen Deffenbacher. Today, China is the world’s largest investor in renewable energy, with outlays in 2015 totaling $103 billion, more than double U.S. spending of $44 billion. Of the planet’s 8.1 million jobs in renewable energy, 3.5 million are in China, whereas fewer than 1 million are in the United States. Persuaded that clean energy is good for the environment and the economy, China has committed $367 billion through 2020 to the development of renewable power sources — a level of investment that is expected to generate 13 million jobs. China also is looking beyond its borders, by exporting the expertise it has developed in renewable energy and supporting technologies. In 2016, China invested tens of billions in renewable energy projects in Australia, Germany, Brazil, Chile, Egypt, Pakistan, Vietnam, Indonesia and elsewhere. Read the entire article here. 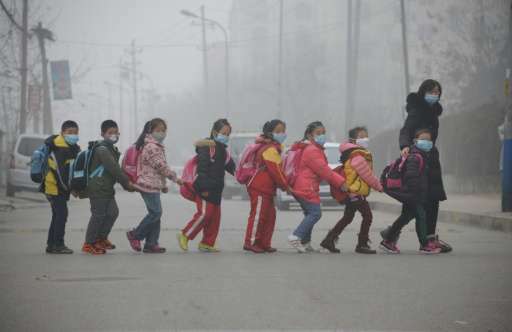 Stock Photo: In China, the number of premature deaths from air pollution is more than 1 million every year. Each year, 200,000 Americans die prematurely because of bad air quality. 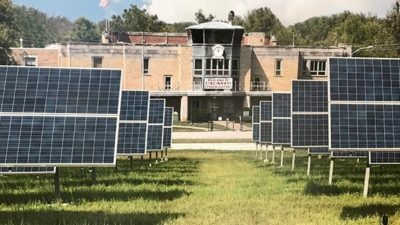 This entry was posted in NewsBlog and tagged China's global leadership in renewable energy development, climate action news, energy storage, human health benefits of clean energy, Nebraskans for Solar, renewable energy and air quality, U.S. renewable energy news on September 24, 2017 by Helen Deffenbacher. Construction is underway on a wind turbine in Seward. 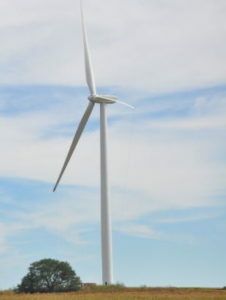 Bluestem Energy Solutions announced this week that it is constructing a 1.7 megawatt wind turbine on a farm near the city of 7,000 about 20 miles west of Lincoln. Photo Credit: Beatrice Daily Sun. The energy generated by the Seward wind turbine will be enough to power 600 homes. According to the 2016 census, Seward’s population is 7,219, and the number of occupied homes is 2,521. The wind turbine will provide about 25% of Seward’s homes with renewable energy. This entry was posted in Nebraska / Midwest News, NewsBlog and tagged Beatrice Daily Sun, City of Seward, Hastings Tribune, Omaha-based Bluestem Energy Solutions, renewable energy development in Nebraska on September 24, 2017 by Helen Deffenbacher.